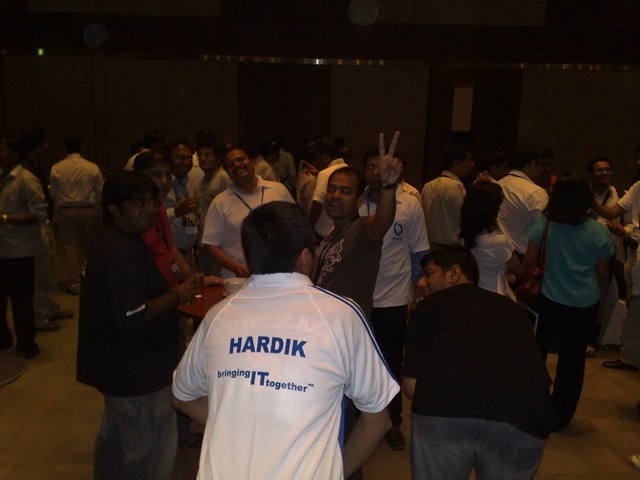 To summarize: In my 10+ years of community engagement, I would say, TechEd India 2009 was the most successful in terms of community involvement. As beautiful as the famous Charminar of Hyderabad. (see picture on left). 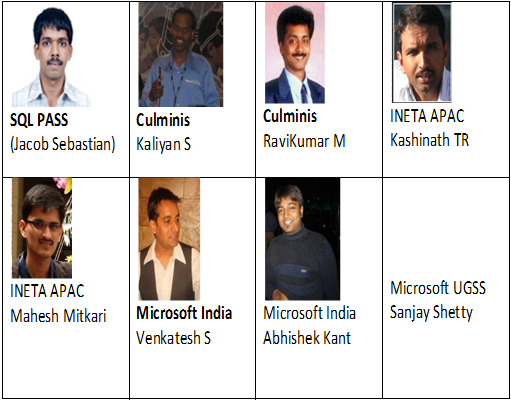 Organizations like INETA APAC, Culminis, PASS and Microsoft India, jointly engaged in bringing all user group leaders together, promoting the respective user groups and enabling great networking opportunities between the leaders and attendees of TechEd India. 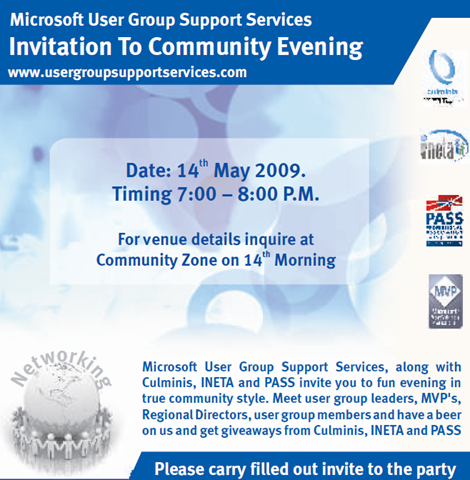 About 1 month before TechEd volunteers from INETA APAC, Culminis, PASS, Microsoft India team, and Microsoft UGSS, formed the India Community Council(ICC), an initiative spearheaded by Microsoft User Group Support Services(UGSS). The objective was to align the efforts of the various organizations in a country and to explore areas of synergy. TechEd was the perfect ground to see the power of the ICC. And they definitely proved their mettle. Further invaluable help was provided by Ashwin Kini, the Culminis APAC chair. 1. Encourage community participation pre-TechEd 1.With Microsoft India’s help, a discount of 25% was negotiated for all User group members wishing to attend TechEd. 1.1. A template was made available to leaders via which they could announce this benefit to members. 1.2. 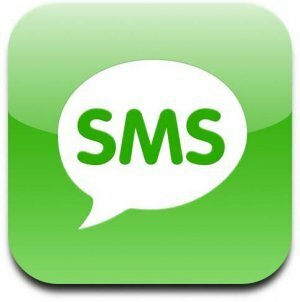 Members interested in the offer were given a survey url to indicate their interest. A day before TechEd volunteers provided this list to TechEd event agency to ensure at time of payment, members got 25% discount. (Despite the severe recession 65 community members took advantage of this offer). 2. ICC members were given free entry. 3. INETA APAC(facebook, Spaces), Culminis blogs, sites announced benefits for the community, and mailers + phone calls were made to all UG leaders. 2. 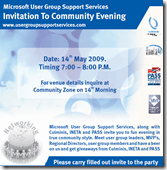 Promote all User Groups of (INETA APAC, Culminis & PASS), create awareness of these organizations, MVP Program and Microsoft UGSS, ensure all attendees are aware of the above. 1. A Community Booklet was created, containing details of all user groups in India, via efforts of ICC + other volunteers. 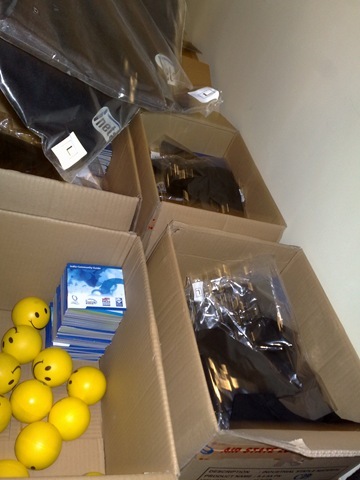 A professional company was engaged(Printo), their help was invaluable. Community booklet was included in the attendee kits, ensuring all are aware of the various user groups across India. In addition, UG leaders were provided Community booklets, so that they could distribute it to their group members. 3. Engage TechEd Attendees, Promote leaders and groups, create buzz and encourage at least 10% of TechEd audience. 1. Two contests were organized. 1.1 Culminis, INETA APAC, PASS, Leader Hunt Contest for TechEd India 2009. 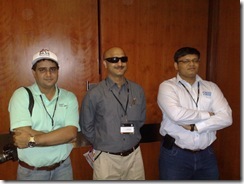 Enabled attendee interaction with all leaders(Culminis, INETA APAC, PASS) who are present at TechEd. Approximately 300 attendees participated. 1.2 INETA APAC True or False Contest. 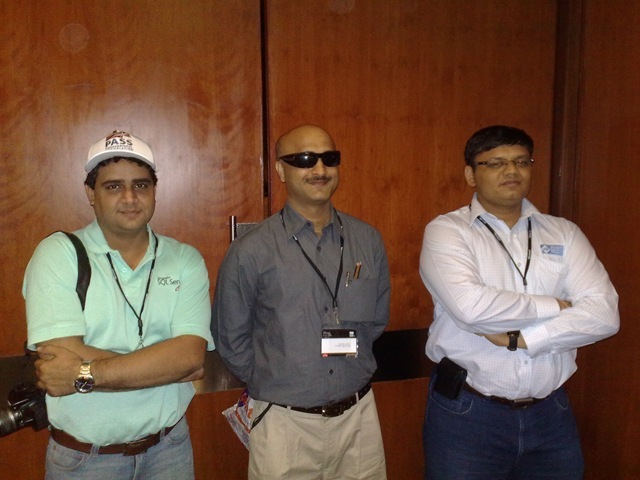 Enabled attendees to be aware of INETA APAC benefits and sign up as volunteers. formally introduced to the attendees. The entrance to this exclusive event was guarded by our enthusiastic leaders/volunteers Nauzad, Surendra Mishra and Pinalkumar Dave followed by turns by other volunteers. 5. Involve 3rd party speakers, Microsoft Regional Directors, other valuable speakers etc. Pre-TechEd, behind the scenes I was involved in getting 3rd party speakers, such as Sanjay Vyas, Dr. Nitin Paranjpe, Raj Chaudhuri, Meena K and Ranganathan S. In addition, Microsoft RD’s like Praveen Srivatsa, Venkatarangan TNC, also delivered some fantastic sessions. 6. Leader Summit One of the things local Microsoft encouraged was to engage leaders much more, and in order to help with that, they offered free entry to TechEd for all leaders of groups in India. The ICC capitalized this wonderful opportunity and informed all leaders, in addition, INETA APAC and Culminis sponsored leader accommodation at TechEd, since quite a few leaders were attending this proved to be hugely beneficial, about 14 leaders attended this special summit, along with leading MVP’s. It was held on day 2 of TechEd for about 2 hours. INTEA APAC, Culminis and PASS shared their plans for FY10 with leaders. Additionally, Culminis, INETA APAC, PASS representatives, respectively met up with their group leaders in separate meetings. 7. 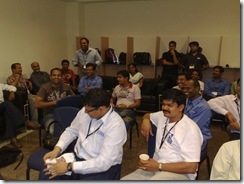 Upcoming mini-UG TechEd’s in 8 cities. Microsoft announced their support to Community, UG led, mini-TechEd’s in 8 cities. These will be targeting both IT Pro’s and Developers. Microsoft would enable UG leaders to get content from TechEd on the above + leaders are encouraged to have local speakers for whom virtual training could be provided. INETA APAC, Culminis, and UGSS could support funding of these Community TechEd’s. 8. Special Session for UG leaders Concept Visuals – presentation by Sanjay Vyas was an exclusive introduction to leaders on how Concept Visuals helps in easy learning + presenting of any information. The best comment after the session which I heard from a leader was “I was doing Windows programming for 6 years and now I finally understand what’s happening”. It was an eye opener for all. 9. 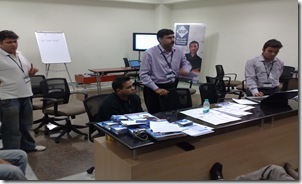 New User Groups support Hyderabad – Soni Somarajan and Srinivas B.N. were two new potential leaders who stepped up to help with Hyderabad UG. Agra – Similarly, INETA APAC volunteer Mahesh Mitkari, is working with a potential new leader in Agra. 10. Goodies for UG leaders and their members On the last day, UG leaders were given giveaways to take back to their user group communities, which they could utilize at the upcoming mini-TechEd’s. ICC members and volunteers, put their hands together to coordinate these efforts. 11. UG content in localized languages Microsoft is helping encourage submission of information in localised languages, so far I believe, there are volunteers for Gujarati, Kannada, Hindi and hopefully the upcoming mini-UG TechEd’s will bring many more languages to the fore. These video recordings would be promoted across the country. Thank you for sharing an information.